ON-THE-SPOT fines are to be introduced for cyclists who are caught riding on footpaths and breaking red lights. Failure to yield right of way at a ‘Yield’ sign. A spokesperson for the Department of Transport told TheJournal.ie that “no decision has been taken on the fines but they are likely to be €50 or higher – lower than equivalent motoring fines, but sufficiently high to act as a deterrent. The measure will free up gardaí for other policing duties and free up court time”. It is understood that cyclists will have the option of paying a fixed-charge penalty within 56 days instead of having the matter dealt with by the courts. 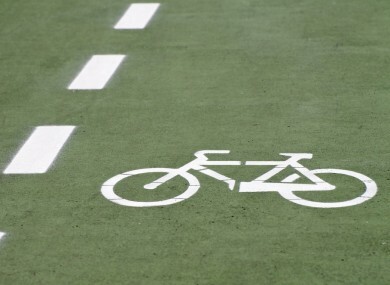 The department spokesperson said that the new fines are as much about “rewarding safe cycling as it is about penalising dangerous behaviour on the roads. It is really about encouraging more people to cycle”. He added that the plan to introduce on-the-spot fines was done in the consultation with the gardai and the Road Safety Authority (RSA) and that it was likely to be introduced late this year or in early 2014. He said the introduction of the measures is dependent on when the scheme can link in with the garda PULSE system, the computer system that the gardaí use in their work to record offences. He said that the new fining system does not require any change in legislation so it should be relatively straight forward to introduce, adding that it is hoped the fines will deter people from making dangerous decisions while on the road that could cause fatalities. According to figures from the Road Safety Authority, in 2011 nine pedal cyclists were killed and 395 were injured in collisions. Cyclists made up approximately five per cent of all fatalities, and all cyclists who were killed were male. Speaking to TheJournal.ie, Mike McMillen of Cyclist.ie, Ireland’s national cycle lobby group said he was speaking as a driver, a motorcyclist and a cyclists when he said he would give these new regulations a “guarded welcome”. He said a lot of drivers believe that all cyclists are “reckless” but he said that it is rare that a cyclist would simply “kamikaze” through a junction without checking first. He said just like there are reckless drivers on the road, there are reckless cyclists, but said that he would question how these new regulations are going to be enforced. “The gardai road traffic corps are already down on their numbers due to budget cuts, so I would question how they plan to implement these fines”. He added that he would like to see more enforcement of the laws already in existence. “Drivers guilty of overtaking cyclists far too fast can be fined €80 euro and given two penalty points for the offence, but there is little evidence that it this is being enforced. Email “Cyclists to face fines for breaking red lights and using footpaths”. Feedback on “Cyclists to face fines for breaking red lights and using footpaths”.